It’s that time of year when food is abundant, there is a seemingly never ending succession of holiday parties and events, all of which feature food. It’s also that time of year when you start to see a proliferation of articles about the average weight gain over the holidays and how you can save yourself from looking like the poor unfortunate headless woman in the photo by preloading your purse with celery sticks and doing 20 burpees every time you take a drink of rum and eggnog. This is not one of those lists. The holidays should be fun. A time to connect with family and friends, have a reprieve from work, and yes, even eat delicious baked goods. If the holidays for you are a time to feel full of chocolate and regret, a time filled with anxiety about all of the “bad” food you’re going to be faced with, then these 10 tips should help get you through the holiday season without guilt. Stop imbuing food with moral value. There are no good or bad foods and you are not good or bad for eating certain foods. Don’t feel guilty for enjoying delicious foods or for eating food for reasons other than hunger. Don’t confuse the number on the scale with your personal worth or a measure of your health. Consider not weighing yourself. Ignore or call-out people who make judgemental comments about what you are (or aren’t) eating. Try to focus on your internal cues when deciding whether or not to eat or what to eat. It’s nobody else’s business what you put on your plate. Don’t let food-pushers pressure you into eating things you don’t want to eat. Conversely, if you’re someone who tends to show their love by pushing food on people please consider that someone declining your offer of food is not a reflection of their feelings toward you. Try just putting food out and not pressuring anyone to eat it. Don’t make a New Year’s resolution to lose weight/eat healthy/go on a diet. Wear clothes that make you comfortable and happy. Remember to nourish your body. Yes, it’s okay to eat cookies and chocolate but you won’t feel at your best if you’re eating these foods exclusively. Don’t read (other) articles about “surviving” the holidays. If you’re struggling with body acceptance, don’t feel like you have to go through it alone. 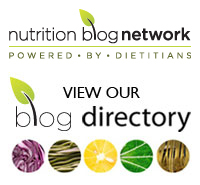 Find a Registered Dietitian who specializes in a HAES or weight-neutral approach. Tags: body acceptance, celebrations, Christmas, HAES, healthy eating, holiday survival, holidays, nutrition, tips, top 10, weight, weight neutral | Permalink.